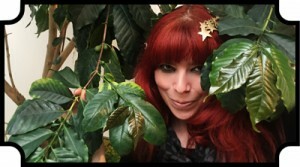 Kenya Windrush Estate appeared at the Seattle Roastery in January. My good friend Melody was kind enough to send me a bag to share with my partners! 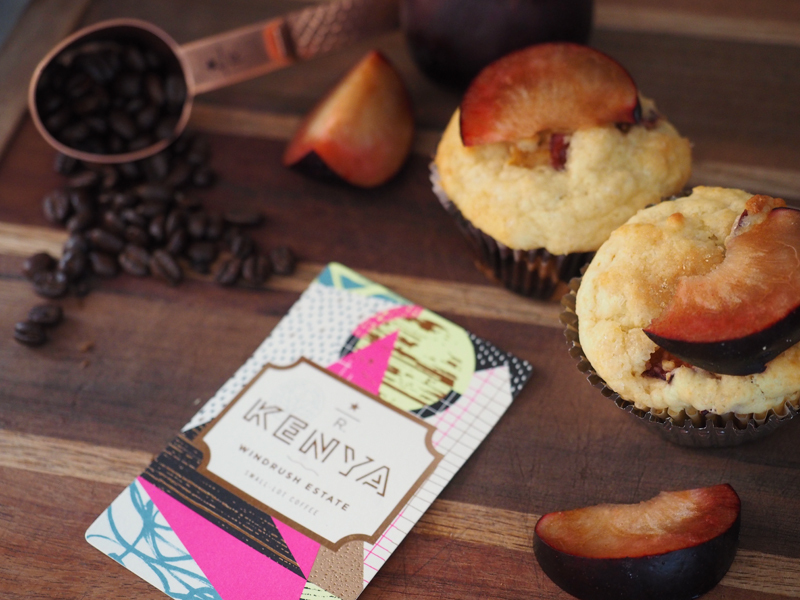 Kenya Windrush estate has a juicy acidity with notes of red currant and plum. Plums are just starting to come in to season here, so I thought making a twist on a blueberry muffin would be perfect! 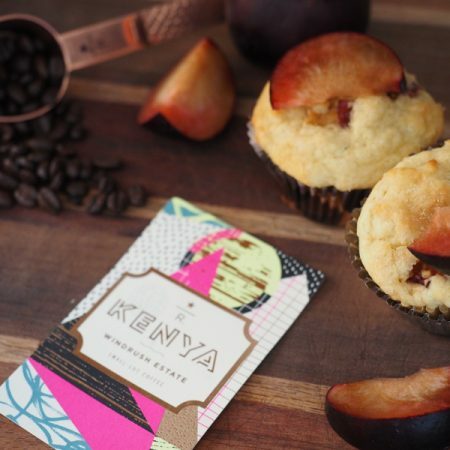 Kenya Windrush Estate is a washed coffee with a medium body and acidity. Most coffees from Kenya travel to co ops to be processed. The coffee cherries from Windrush Estate are processed at an on-site washing station and mill. One of Kenya’s oldest coffee estates, Windrush Estate was established in 1902 as a cattle farm. They started growing coffee and tea during British colonial rule, and after the country gained independence, a group of local residents took over all aspects of production. The high standards and controlled cultivation are seen in the cup. Elegant and juicy with layers of complex flavors. If plums aren’t an option, try pairing this coffee with Starbucks lemon loaf or cranberry orange scone. Compare Starbucks Reserve Kenya Windrush Estate next to our core Kenya. Pair with a lemon lemon loaf. What differences and similarities do you find? Let me know in the comments! Sift flour, baking powder, and baking soda into a large bowl. Wash the plums and chop into pieces. Pour the yogurt mixture into the dry ingredients. Slowly stir the yogurt mixture into the dry ingredients in the large bowl, until just combined. DO NOT OVER STIR, it will make the muffins too dense. Gently stir in the plums, fill the muffin cups. Sprinkle with a little raw sugar on top. Bake for about 15-18 minutes or until golden brown. Garnish with a fresh plum slice.